If God is real, then the Word is true! Even though my parents were like heroes of the faith, it wasn’t until I was about 20 years old when I actually realized that God is real. It’s interesting how much we will ingest about God before we have that transformational moment where His Spirit shows up. Once we have that moment with Him and we know for a fact that God is real, it is our responsibility to operate like His Word is true! Once you know that He is real, then everything in His Word must be true. Sometimes a good source will give you wicked counsel. We have to understand that we take our orders from the Word of God and from the Spirit of God, and anything that is contrary to that is wicked counsel. Just because it’s coming from a good source does not mean it’s Godly counsel! We have to make sure that what someone else is telling us is agreeing with what the Word of God says. There are people in our lives that have good intentions, but God didn’t tell them what He told you. They’re a good source, but sometimes they give wicked counsel. Wicked counsel is anything that is contrary to what God is telling you. God is real, so His Word is true! When God changed my life, I made it my intentional goal to immerse myself in the Word of God. My delight is truly in the Word of God! Sometimes we miss that step. We want purpose. We want to be chosen. But, it starts with meditating and taking delight in the Word of God. A lot of people want to know how to be successful, and this passage outlines three ways. If God is real, then His Word is true, so #1 – Don’t listen to wicked counsel, #2 – Delight yourself in the Word of God, #3 – Be firmly planted in the Word so you do not waver. n the counsel of the wicked. Let your delight be in the Word of God. Then, you will be like that firmly planted tree, producing much fruit, standing in the strength and the power of the Creator. I love you guys so much and hope this encourages you today! 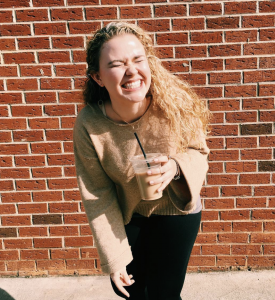 We want you to meet our beloved Lauren, who recently joined our creative team here at Autumn Miles’ Ministries! Q: How did you come on the team? A: It all started when Autumn came to speak at Liberty and I shared an orange with her! 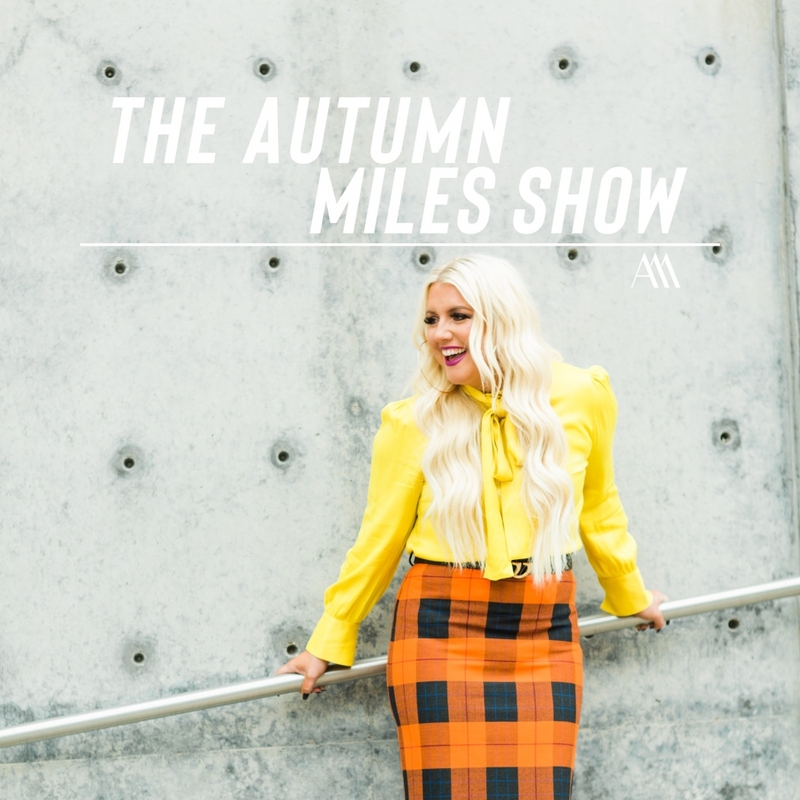 I immediately fell in love with the way she brought church to class; I went to three of her speaking sessions and really admired Autumn’s direct and bold teaching. I had the opportunity to talk with the team, and Kassy (the AMM Operations Manager) talked about I Am Rahab with me. A few days later, I thought I received an email about ordering the book, but instead Kassy was wondering if I would be interested in joining the ministry! I am in complete awe, truly honored, to be a part of this team! Q: What do you hope people would see through the ministry? A: Jesus. At the end of the day, ministry is all about Jesus. My prayer is that others will be able to experience what I saw in class that day when Autumn brought so much truth and light. More than newsletters, videos, and books my hope is that people would be able to experience life change. I am expectant to see the Lord work, in both huge and small ways, through everyone who reads or watches any of our content. Q: What is something the Lord is teaching you now? A: I am learning that even though I am on a ministry team now, I am still not perfect. I might make mistakes, but this is more than a team, it is a family. I am learning to lean on others in a dependent manner, realizing the blessing that others are in my life. This spring season has been a season of exponential growth; as I am becoming who God wants me to be, I am learning to guard my heart and live with discernment in His will. 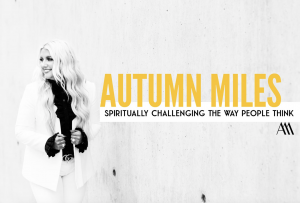 Autumn Mile’s ministry has impacted millions of people worldwide and to continue serving those who need to hear her message of victory and promise, we need your support. As a 501c(3) non-profit organization, we are supporter-funded! Your donations help us to share BOLD TRUTH AND RAW FAITH.